Chinese A-Shares go live on MSCI Emerging Markets Index after three years of rebuffs. Chinese A-Shares have gone live on the MSCI Emerging Markets Index for the first time, enabling global passive investors to gain exposure to an equity market second only in size to the US. Having been denied admittance to the coveted index listing for three years straight, it was confirmed in June 2017 that Chinese A-Shares would finally be incorporated into the benchmark. “International investors have noticed the country’s ever-growing importance to the global economy and are increasingly keen to benefit from China’s ongoing strong growth,” said Danny Dolan, managing director of China Post Global, the international asset management arm of China Post Fund. “The MSCI inclusion is a further concrete step in the ongoing opening up of the Chinese stock market, and reflects the strong demand from international investors as well as the greatly-improved access. Chinese regulators have introduced a series of equity market reforms, expanding the number of gateways for foreigners to buy domestic securities beyond QFII (Qualified Foreign Institutional Investor) and RQFII (Renminbi [RMB] Qualified Foreign Institutional Investor) schemes. Stock Connect created a linkage between the exchanges in Hong Kong, Shanghai and Shenzhen, giving investors easier access to each other’s respective capital markets, with more than 2000 equities now eligible for trading. Regulators recently announced an increase in the daily trading quotas on Stock Connect, and it is expected exchange traded funds (ETFs) and primary issuances will be added to the impending “Connect” adaptations within the next 18 to 24 months. Furthermore, according to reports, the UK’s London Stock Exchange is planning to go live with a London-Shanghai Stock Connect programme at some point this year, despite concerns over time-zone differences, divergent settlement cycles, the use of RMB in settlements and Chinese short-selling restrictions. 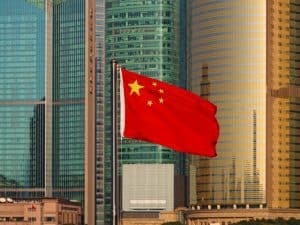 “The MSCI’s inclusion of China is a milestone step, demonstrating that global investors now officially welcome China to the global stage, after a gradual opening up of this market through QFII, RQFII and Connect programs,” said Jasmine Kang, portfolio manager, Comgest China Growth Fund. “The initial weighting will be relatively low, as this is set to be capped by a 2.5% inclusion factor in June moving to a 5% inclusion factor in September 2018. Therefore, the near-term fund flow from both passive and active investors will be initially limited.